"Adding this functionality and new features to the Snap Lab software is a direct result of feedback from our customers in the event photography and photo retail markets," Shinichi Yamashita, DNP IAM president, said. "These improvements are part of continuous upgrades we have made to the software platform, enhancing its capabilities with no additional investment required." Other enhancements include a new Event Mode control to set the quantity for minimum and maximum photos per order and the ability to process credit card payment directly through the interface. CONCORD, N.C. -- DNP Imagingcomm America Corp. has announced the immediate availability of its Snap Lab SL620A software update -- version 3.4.25.0. The new software version provides a range of functional updates and improvements. "Adding this functionality and new features to the Snap Lab software is a direct result of feedback from our customers in the event photography and photo retail markets," stated Shinichi Yamashita, President of DNP IAM. "These improvements are part of continuous upgrades we have made to the software platform, enhancing its capabilities with no additional investment required." 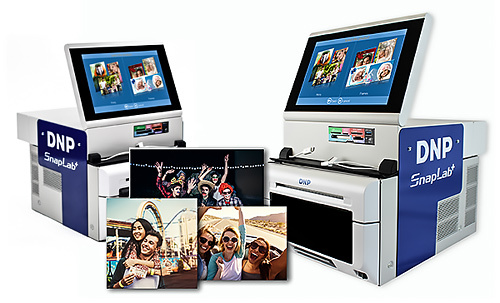 The DNP Snap Lab photo printing system has become one of the best-selling, most desired event photography systems on the market because of its ease-of-use, light weight, small footprint and full feature set in a compact photo solution -- with no PC required. The Snap Lab has been engineered with a 10.1 -inch touch-sensitive color LCD and a user-friendly graphical user interface, providing instant photo printing and access to numerous templates to add borders and text to photos, collages, calendars and a host of other features. Visit the Snap Lab SL620A page for more information. The Snap Lab SL620A software update v3.4.25.0 is available to download now from the DNP Web site.